Need a fabulous and adorable Christmas gift for that special little one? Well, look no further, because the rocking sheep is back!!! Last year, I posted about Max's super cute and modern rocking sheep and due to popular demand, Max has made a limited amount of rocking sheep in time for this Christmas! 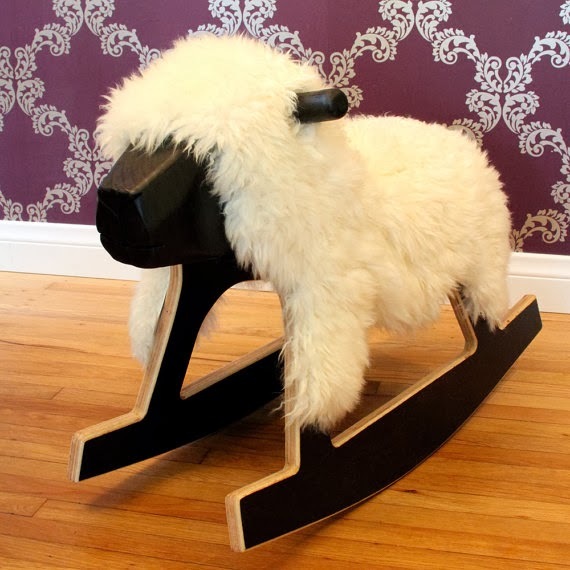 The rocking sheep is made using Baltic birch plywood, some reclaimed wood from around Max's shop, and of course, real sheepskin. It's finished with a low V.O.C. water-based polyurethane. Age Range: 18 months to around 3 years. Get yours now before they are all gone!